If you are in the market for a new car then leasing is definitely going to be one of your top choices. If it isn’t, it most definitely should be. If you don’t agree, you will soon enough. For example, you will change your mind when you hear about the amazing service that we offer you here at NYC Auto Specials. Our car leasing company is one of the best in the entire state, and we are here to make your new car something worth waiting for. Of course, you need to be able to clarify any doubts when it comes to the world of leasing. If you have any questions for us, we are always ready to answer as honestly as possible. We will spare no detail. 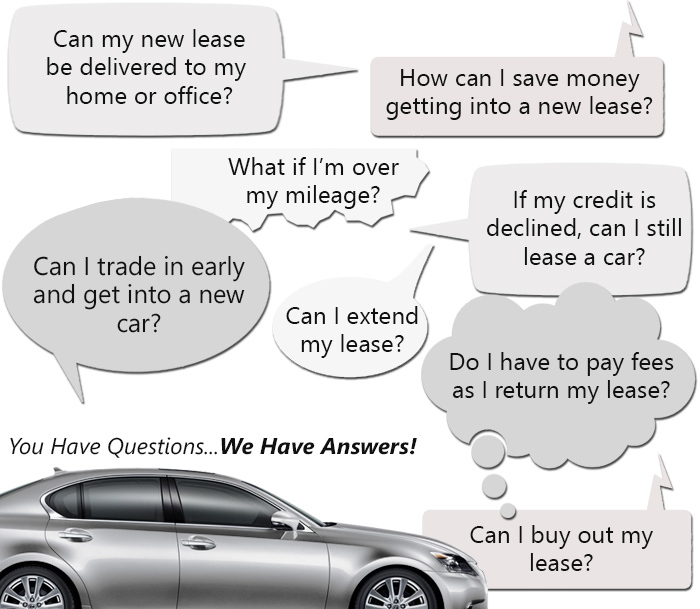 Here are some examples of a couple of the questions people tend to ask us before they get their cars on auto lease here at our company. How big is your range of cars? This is one of the most typical questions that our agents get asked. In order to get an idea of the range that we have in our store, you have to have an imagination the size of the Earth itself. After all, our range does span the entire planet. This is one of the biggest ranges of vehicles in the whole of NYC. Our car leasing company makes it a point to have so much variety that it will make you feel like you have been spun around in a centrifuge when you try to choose from all of them. While the normal car leasing company will have about 40 different types of cars and will call that an outstanding amount, we can safely say that we have over 300 different cars from over 40 carmakers. This is a number that is truly astounding, and it will keep you awestruck as you try to choose the perfect one for you. Will I have to deal with terrible salespeople? We understand that this is one of the biggest problems to anyone who enters into the world of car leasing unprepared. This is because, if you didn’t know already, the service people in most of the car leasing agencies in NYC and the rest of the country are absolutely horrendous. This is definitely a major problem when it comes to leasing a car, as the bad service can immediately put you off the entire experience. We do not want this to happen, which is why we make it a point to have the best, politest and most well trained service staff in the city. You are bound to get the absolute best service anywhere in the whole of NYC when you come to us to lease your dream car. If you are interested in tasting this top quality service while browsing our absolutely amazing range of lease vehicles, call us right now on 718-879-8891. We are always ready!